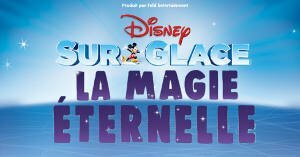 Disney on Ice, a magical moment, enchanting and unforgettable for adults and youngsters alike…The show will be held at Zenith Paris in December for the end of the Year festivities! This year, the skaters will take you on a journey back in time. On the programme: The eternal magic. On the ice of Zenith Paris Disney heroes, princesses, Snow Queen, Lion king and many other famous characters will be at the party. Enjoy the show with your family. Where to sleep near the Zenith Paris? You would like to sleep close to the Zenith on the night of the show? Check the list of hotels close to the Zénith La Villette.